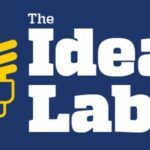 Please help us Congratulate 2017’s 11 Idea Lab challenge winners! These folks develop incredible innovations in servicing community needs. Johns Hopkins University will fund 11 community projects focused on diversity and the environment as part of the school’s annual Idea Lab challenge. This is the third year Hopkins has hosted Idea Lab, in which students and staff can submit project proposals for consideration.